We like to think of Kirkland, Illinois as ‘A Nice Place To Call Home’. We hope you do too. The best way to keep it that way is for all of us to be invested in the effort. 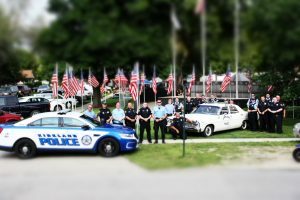 If you have any information to share with the Kirkland Police Department you can always contact any officer with the Kirkland Police Department by calling 815-522-3315. If you live in the rural Kirkland Area and need to contact the DeKalb County Sheriff’s Office you can call 815-895-2155. 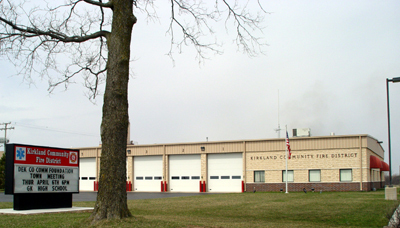 The Kirkland Community Fire Department has been in existence since 1954 and has been fully operated by local volunteers. Chief Chad Connell and the 31 members of the department are very dedicated to the training and growth of this department. The department has 2 ambulances and 6 functional fire vehicles, with a brand new ambulance on the way. This department also has a water rescue team complete with boat, water rescue equipment, and one diver. When the storms roll in, ComEd is ready to keep you up-to-date on our outage restorations. Visit the Storm Center at ComEd.com/Storm to get the latest information on outages in the service territory, view our Outage Map, and report an outage. With ComEd’s outage map, customers can view all outages in the ComEd service area at once and zoom in and get details on specific areas, such as the estimated restoration time & status of crews working to resolve problems. Icons are color-coded to indicate the number of customers affected by each incident. Check out the interactive map at ComEd.com/Map. Need to report an outage? Text the word OUT to 26633 (ComEd) and get updates until your power is restored. Visit ComEd.com/Text for more info and to sign up.